Nursing school is difficult. There’s no denying that. Late nights of cramming for tests; early morning clinicals; obtaining the necessary licensures and certifications; and, that’s just the tip of the iceberg. Nursing school is tough. But then again, the best things in life usually are. Your nursing education is no exception. But, before you start getting overwhelmed by the many stresses common to nursing students, pay close attention to these 10 Helpful Tips that Every Nursing Student Should Know. Classes enrolling now, Click here to apply! Organization is crucial- If you’re juggling your school life with home, work, and other social necessities, you can easily stretch yourself too thin. To help ease the stress, stay organized. Always read before class! Practice time management techniques, or find someone to help you with this if it’s not your strong point. Keep a daily schedule of all homework assignments, upcoming projects, and class times. Staying well organized will truly help you balance your busy schedule. Figure out how you learn best- Everybody learns differently. If you want to succeed in nursing school, take some time to consider the easiest way for you to learn the material. Are you a visual learner? Auditory learner? Do you need a more hands-one approach? There are study tools available for each and every learning style that will help you better grasp the material. This will help you, and your teachers, so you can get the most out of your educational experience. Find a reliable study partner- Support is extremely important while you’re in school. Not only will your study partner or group be able to help you better understand the information and prepare for tests, but they’ll also serve as a source of encouragement, support, and friendship during a time in your life that you may find little free-time for other friends and family. Learn from your mistakes- Accept this fact now. You will make mistakes. There’s no getting around that one. It’s obviously important to study hard and do your best; but you’ll benefit greatly by accepting your mistakes at face value, and by finding ways to learn from them. Keep trying, and don’t hesitate to ask for help. Look for opportunities to gain experience- You’ll have opportunities while in nursing school to gain lab experience and learn through clinical training. But don’t limit your nursing education strictly to classroom time. Look for opportunities to volunteer in hospitals, clinics, or other related locations. You’ll gain valuable insights into the medical field like day-to-day situations, staffing relationships, and patient experiences. This will be a valuable resource throughout school. Look for study guides- Any tests to receive the licensures and certifications needed to begin your nursing career are extremely important (and often difficult). Save yourself some headaches by picking up some helpful study guides and use them to prepare for these tests. They will help you to know the “most right” answers that these tests are looking for. Don’t be afraid to ask questions- Right from day one, there will be some things that you struggle to understand, master, or feel comfortable with. Don’t hesitate to ask your instructors questions about anything while you’re in school. Their real-life work experiences can give you clarity to many hypothetical scenarios. Your teachers do care and are there to help you succeed in school and in your future career. Keep a sense of humor- Don’t forget to laugh. Working in the medical field can be depressing sometimes. Sickness, disease, death, patients’ families, an abundance of health care regulations, constant tests; these things can easily become overwhelming. Find reasons to laugh every day. Look for positives in every situation. Take time to protect your mental health throughout nursing school. Laughter is the best medicine. This applies to nursing care providers and students as well as patients. Pay your dues- In some cases, you may be able to begin your career working in the nursing profession before you actually finish school. Don’t expect to get hired in your dream job right from the start. Be realistic with your expectations. Accept the fact that you’ll have to start at the bottom and work your way up the ladder of success. Don’t think that certain jobs are beneath you. Some things just go along with the job. Build your network now- If you’ve already started volunteering, this part will be easy. 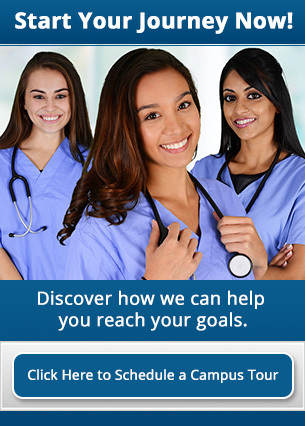 Start building your network of medical field professionals that will be there to help you throughout school and after while you search for your first nursing job. These individuals will provide you with insights into the nursing field and could be valuable resources when you’re job hunting. Is nursing school in your future? If you have dreams of becoming a nurse, but aren’t sure if you have what it takes to make it through school, know that you’re not alone. 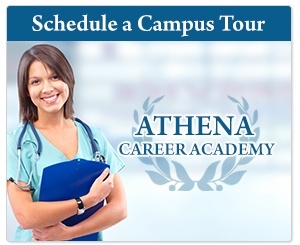 At Athena Career Academy, our well-trained, supportive staff is here to help you along your educational journey, every step of the way. Just take a few moments to fill out an online form to get started on your way to your new career as a nurse.